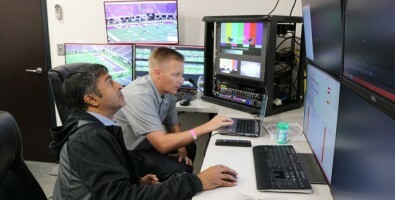 The NFL has been able to call on 360-degree replays from the Intel True View system at select football stadia for the past two years including an install at Atlanta’s Mercedes-Benz Stadium since last summer. Host broadcaster CBS could take advantage of the tech to enhance its Super Bowl LIII coverage across digital and mobile platforms. The venue, like twelve other NFL stadiums across the AFC and NFC, is equipped with 38 5K ultrahigh-definition cameras, as well as Intel Core i7 servers and PCs that can process up to 1 terabyte of data for volumetric presentation (height, width and depth) per 15- to 30-second clip. The volumetric video is fed through more than five miles of fibre-optic cables to the control room where it is processed. Using voxels (pixels with volume), the technology renders dynamic replays in multi-perspective 3D to create 360-degree reconstructions of plays that can be viewed from any angle. 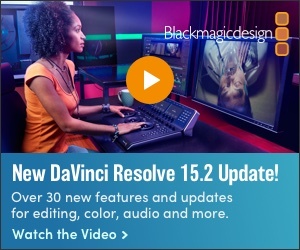 The production team virtually re-creates a selected clip in 3D from an ideal vantage point or player’s perspective. Click to enlarge. Content has been accessible via NFL.com/trueview, the NFL Mobile app, the NFL channel on YouTube and other endpoints. Fans will also experience the enhanced replays in-stadiums for closer views of the action on the field. By providing immersive replays, sports fans can see highlights from every vantage point, even from the players’ perspective, without using a helmet camera. Other applications include analysis to determine what really happened by reviewing the call from multiple perspectives and studying form and technique from various angles. Game strategy and tactics can be analysed with added commentary and graphics overlaid to provide a deeper understanding and appreciation of the game.